This month sees Mothering Sunday, a long Easter weekend, and the start of the school holidays. Vibrant green spring produce is beginning to appear on plates across the county, wild garlic being a particular favourite amongst chefs at the moment. There are lots of special events, new restaurant openings and spring menus for you in this month’s Foodie Diary. Happy reading, and happy eating! From Monday 7 March St Tudy Inn will be open on Mondays too, meaning the bar is open from 11am to midnight Monday to Saturday, and 11am to 5pm on Sundays. Friday 11 March sees an exclusive supper at St Tudy Inn, a collaboration between Pol Roger and Emily Scott. The menu is still to be confirmed, but will include drinks and canapés on arrival, followed by a beautifully seasonal five course menu created by Emily and her team. The dinner is priced at £75 per person including champagne, or £55 per person without champagne. For reservations phone 01208 850656. Another exciting collaboration is with Padstow Brewing Company. Emily has been brewing her own beer at the Padstow-based brewery; the “St Tudy Ale” is a smooth copper ale, and will be ready on draft mid March. Opening just eight weeks ago, Tom Mackins’ Chapter 1 Restaurant in Newquay is already gaining a reputation for some very special food. The food looks and tastes delicious – follow Tom on Twitter or Instagram for mouthwatering pictures. Tom cooks a six course tasting menu every Wednesday evening, priced at £35 per person. We’ve tried it and thought it was outstanding – read more. The first 24 people to book will be given a free drink on arrival. Phone 01637 499363. For more information and menus visit chapter1restaurant.co.uk. We are very excited to hear about the new restaurant being opened by Andy Appleton (ex head chef at Fifteen Cornwall) at Trevibban Mill, near Padstow: Appleton’s at the Vineyard. 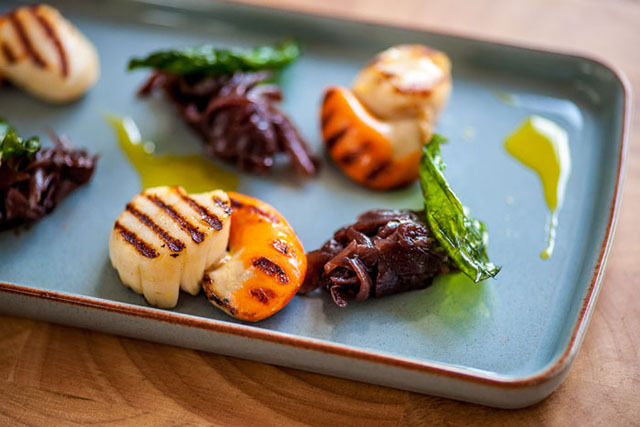 Due to open on 16 March, the restaurant will serve local seasonal produce, including Trevibban’s homegrown meat and produce, with the Italian twist for which Andy is so highly regarded. Initially the restaurant will be open Wednesday to Sunday lunchtimes, and Friday and Saturday evenings. Booking advised – phone the vineyard on 01841 541413 or email [email protected]. Trevibban Mill‘s winery is open from 12 noon until 5pm, Wednesday to Sunday, with tours and tastings held every Sunday, and priced at £25 per person. 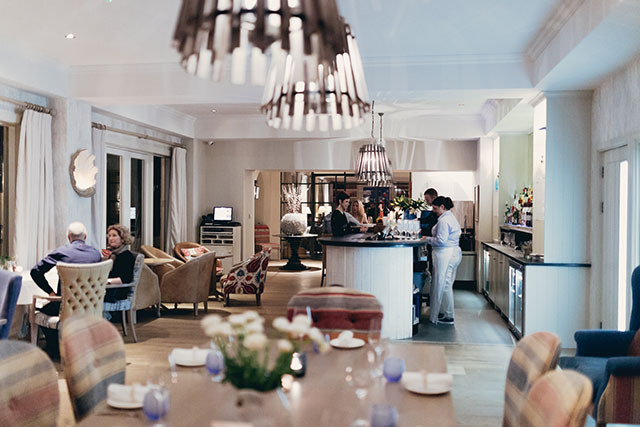 We recently enjoyed a fantastic dinner and night at boutique hotel, The Beach at Bude – read the review. 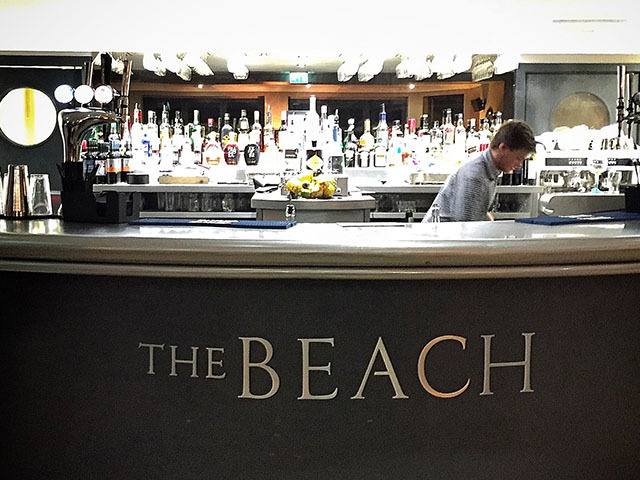 For more details of events and special offers – including happy hour and new menus – keep an eye on their Facebook page or visit www.thebeachatbude.co.uk. 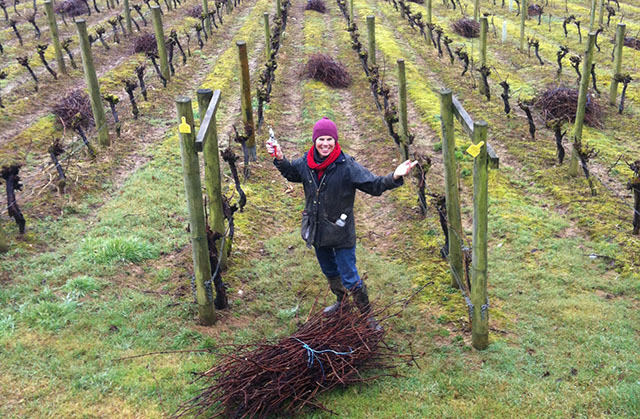 Annie Lindo has just finished pruning her own 5,000 vine vineyard at Camel Valley. Each vine has been cut by hand with secateurs since 1989; that’s 135,000 vines pruned so far. To mark her 100,000th vine pruned, son Sam produced the first ‘Annie’s Anniversary’ Brut in 2010, which won a gold medal. Annie’s Anniversary is now the most popular wine at Camel Valley and Bob’s favourite too. For 2016 Camel Valley has added an extra 2.30pm tour and tasting on Fridays. The full tour programme restarts on 25 March – for more details see www.camelvalley.com/tours. 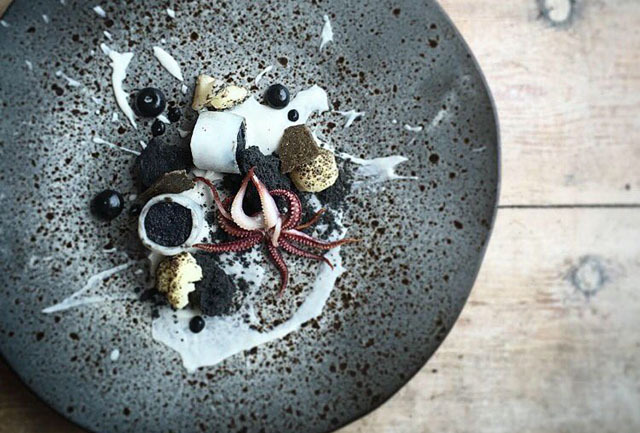 The Cornwall Chefs Club is, unsurprisingly, a group of Cornish chefs. Two years ago they put on an incredible “Epic Event”, raising over £23,000 for local charities. The team are plotting another event, a Grand Charity Gala Dinner, on 3 July at Rosewarne Manor. Chefs, kitchen and front of house staff, and suppliers will be giving their time and produce free of charge. If you feel you can donate to the event, in particular a “money can’t buy” auction prize, please contact Cyril at Rosewarne Manor on 01209 610414. This year the event will support the following charities: Hospitality Action, Macmillan Cancer Support in Cornwall, and Children’s Hospice South West. For online donations and tickets see here. 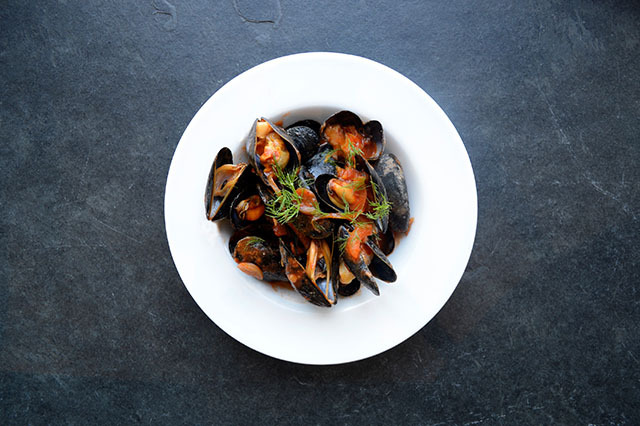 Rick Stein’s beer and mussel festival will be held at The Cornish Arms in St. Merryn from 18 to 20 March. There will be over forty different beers and ciders on offer, as well as a full timetable of entertainment including cooking demos, the Boscastle Buoys, Kernow King, a pub quiz, Six Nations rugby match screenings, and Rick Stein will be available for book signings. A great selection of food is on offer: moules mariniére, mussels with beer and bacon, and mussels with black bean, garlic and ginger. For those less keen on mussels, there will be Goan chicken or vegetable curries, hot dogs and freshly cooked churros with warm chocolate sauce. Full details online, including how you can win free beer and mussels. Free entry all weekend. Rick Stein’s restaurant in Porthleven sits on the side of the harbour, and is a gorgeous building. March is the last month for their Sunday roasts, and a lovely time of year to visit Porthleven. Book online. 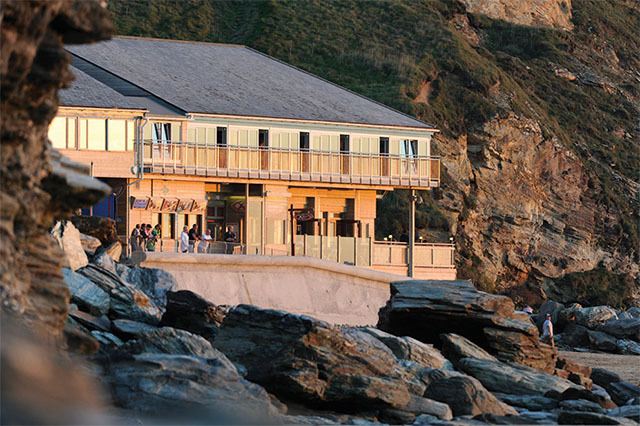 Andy Quick will host the second Fistral Sessions at Rick Stein’s restaurant on the beach on Friday 4 March. Enjoy live music with a sunset, greet food and beer. Free entry. Rick Stein’s Café has added some new dishes to the café set lunch menu including Mount’s Bay sardines with sea salt and lime, cod with pesto butter and locally caught hake with beurre blanc and kale. £23.30 for 3 courses. Book online or phone 01841 532700. The Spring Seafood Masterclass at the Padstow Seafood School promises to be popular. Guests are invited to sit back and relax with a glass of wine in the cookery school whilst watching (and then tasting) three local fish dishes being prepared by their chefs. Fish supplier Matthew Stevens will be on hand with some top fish tips. £16 per person, 6pm to 7.30pm, Thursday 17 March. Book online or phone 01841 532700. Scallops in the half shell with chorizo butter. Braised cuttlefish, white wine, olives, capers, tomato and herbs. Fried soft shell crab with sriracha mayo. Tandoori spiced monkfish tail, bombay potato and saag curry. Tarakan chocolate mousse, orange crumb and syrup. The evening kicks off at 7pm on Friday 18 March at The Beach Hut at Watergate Bay, and is priced at £50 per person, with wine flight available for an extra £15. Book online. Zucchini Kitchen opened near Helston last spring, and is a gorgeous, welcoming restaurant serving classic Italian food, with some modern twists. Calamari fritto – baby squid with Grana Padano cheese and a fresh homemade pomodoro sauce. Fettuccine al salmone – their own smoked salmon cooked in a rich, creamy alfredo sauce. Linguine gamberoni e zucchini – a spicy, comforting dish of king prawns, zucchini and chilli cooked with Italian tomatoes. More seasonal specials will include Cacciucco (a bit like bouillabaisse, containing clams, monkfish, John Dory, mussels, calamari and bream) and Ossobuco. A more traditional roast will be available on Mothering Sunday, from £11.95 for Cornish spring lamb, beef, pork or turkey, and includes a gift for mothers. For more details visit www.zucchini-kitchen.co.uk and for reservations phone 01326 221718. The Padstow Food Fair reopens on 27 March in the newly decorated Padstow Memorial Hall. The all-Cornish market will run from 10am to 4pm on Sundays, Mondays and Tuesdays throughout the year. For details of stallholders see their Facebook page. Fifteen Cornwall’s chefs will join forces with those at The Idle Rocks, to serve a five course tasting menu, with all profits from the dinner going to the Fifteen Cornwall Apprentice Programme. The main course will be presented by The Idle Rocks’ senior chef de partie, Matthew Macdonald, a graduate of Fifteen Cornwall who was given the Personal Development Award in 2013. 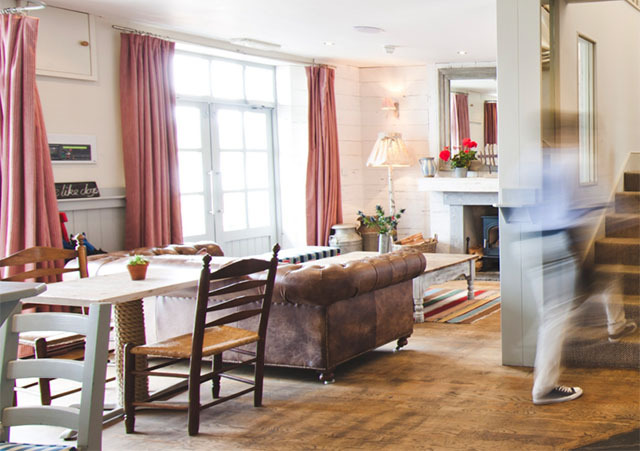 The St Mawes Hotel (pictured above) is offering all mothers a free glass of prosecco with lunch on Mothering Sunday. Reservations are required for tables of 6 or more – phone 01326 270266. For more details visit their website. Over the Easter weekend children are invited to take part in an Easter egg hunt and bonnet making activities at the St Mawes Hotel. The Idle Rocks’ Sunday lunches look delicious, and are served from 12 noon until 2.30pm to non residents as well as hotel guests. For six or more diners you can order your own roast joint and carve it at the table. NB 72 hours’ notice is required. Two courses are priced at £30, and three courses are £37. A special Mothering Sunday lunch will take place at The Idle Rocks on 6 March. 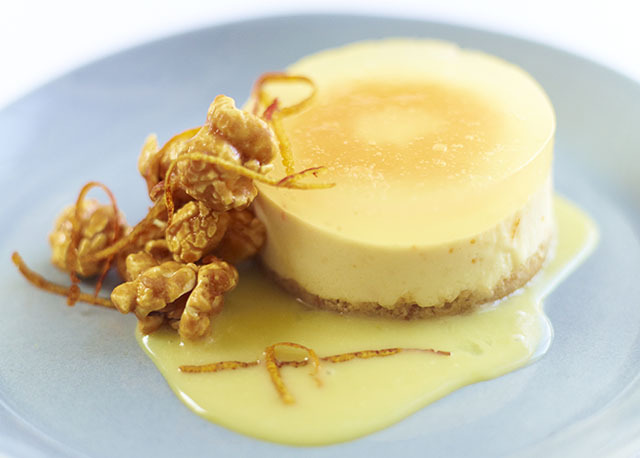 Fifteen Cornwall’s spring lunch offer is available Monday to Saturday until 18 March. Three courses are priced at £24 per person and the sample menu includes dishes such as pappardelle of lamb ragu with crispy herbs and pecorino; line caught pollock, lentils, cime di rapa and salmoriglio; vanilla panna cotta, blood orange and pine nut crumble, and a rhubarb and cinnamon cake with toffee sauce and clotted cream. For reservations phone 01637 861000 or book online. The Hidden Hut will be reopening just before Easter. Keep an eye on their Facebook page for more details. We’re counting down the days until their feast nights begin again. Tickets go on sale at 12 noon on 1 March, and the March feasts consist of a Good Friday Fish Pie on 25 March (£14 per person) and Borhortha Beef Braise on 30 March (£15 per person). 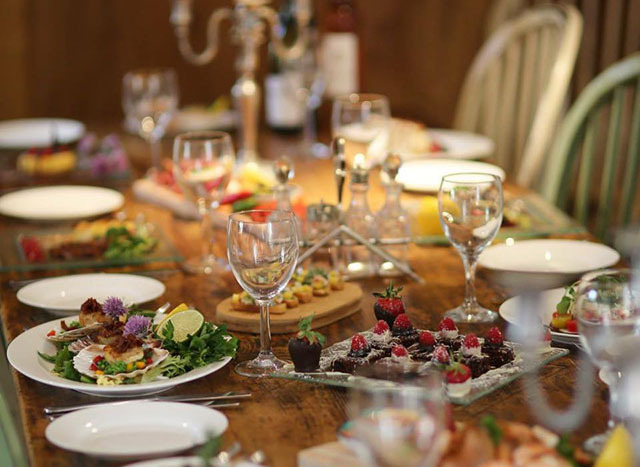 Costislost in Washaway, near Wadebridge, is holding a pop-up dinner on Friday 18 March. 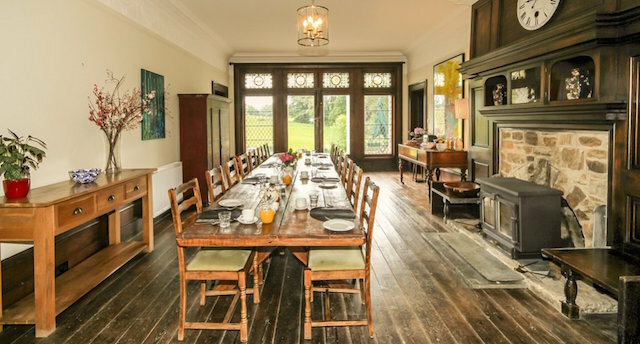 The meal will consist of local organic and foraged ingredients, and the feast will be served on the handsome long kitchen table. £30 per person. Vegetarian options available. BYO drinks – no corkage charge. For bookings, please phone 01208 840031 or email [email protected]. Don’t miss Sam’s in the City‘s latest offer: kids eat free between 4 and 6pm on school days. We visited Sam’s recently, thinking this offer sounded too good to be true, but it really is true, and worth a visit. Maximum two children per adult can choose a free main course from the very good children’s menu when the adult buys a main meal from the full menu. You will need to pay for drinks and puds, which is only fair. Due to popular demand, you can now book a table at Sam’s in the City (phone 01872 859819). They will soon be introducing a family discount card too. 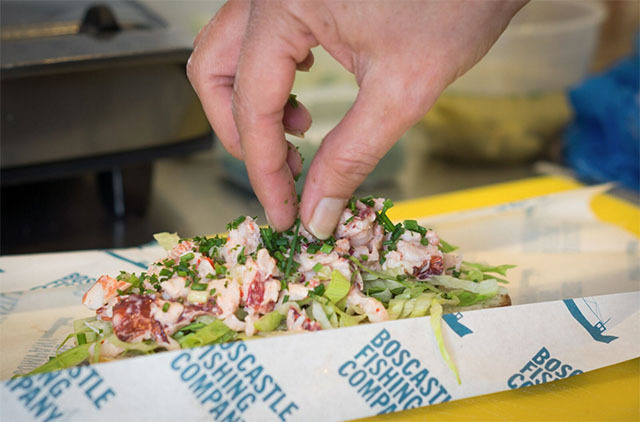 The Boscastle Fishing Company has launched a new product, the “crab dog”, consisting of a warm brioche finger roll filled with hand-picked crab, mayonnaise, marinated red onion, lemon zest and cayenne pepper and topped with crispy pancetta. The crab dog is available at the Rocket Store in Boscastle, along with their lobster roll: a brioche filled with lobster meat, and dressed with mayonnaise, lime, finely chopped celery and cayenne pepper. All the crab and lobster on your plate is landed by Beeny, the Boscastle Fishing Company’s 33-foot boat, who lands her catch on the village quay, and from there it travels approximately one hundred yards to the Rocket Store. Live or dressed crab and lobster are also available. For more details visit www.boscastlefishingcompany.com. From 23 March you can join the winemakers at Polgoon for a tour of their vineyard and cider farm. 90 minute tours will take place at 2pm on Wednesdays, Thursdays and Fridays, £10 per person, no charge for children. After learning about growing and caring for the vineyard and orchard, visitors will then take a look at the production process in the winery, and the tour concludes with a tasting of five Polgoon products, including sparkling wines, still wines, and ciders. Visit www.polgoon.com for more details. 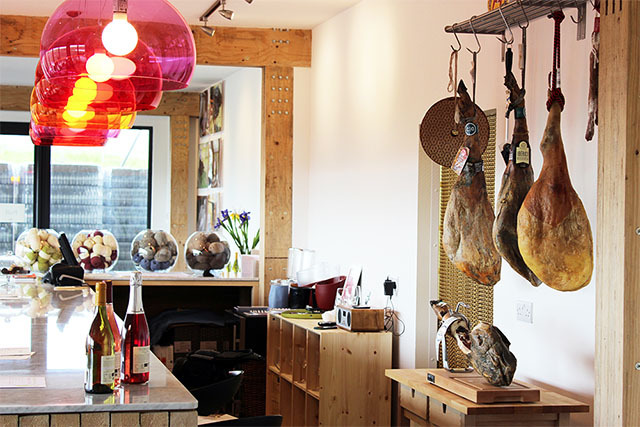 Philleigh Way Cookery School’s new tapas course promises to equip students with the skills to make multiple tapas dishes and to select combinations that complement each other. The course will include dishes such as Spanish empanadas with chimichurri, crispy squid with a tomato salad and lemon mayonnaise, sea bass ceviche, calves liver with almond and saffron, and salt cod fritters. Students get to eat all the delicious dishes they create, as well as enjoying a glass of prosecco mid-morning and wine with lunch. The first tapas course takes place on Wednesday 9 March from 10am to 4pm and costs £135 per person. Other courses in March include Gavin Roberts’ Pig in a Day course on 12 March, a cupcake course on 20 March, and Cornish Italian Cookery on 30 March. 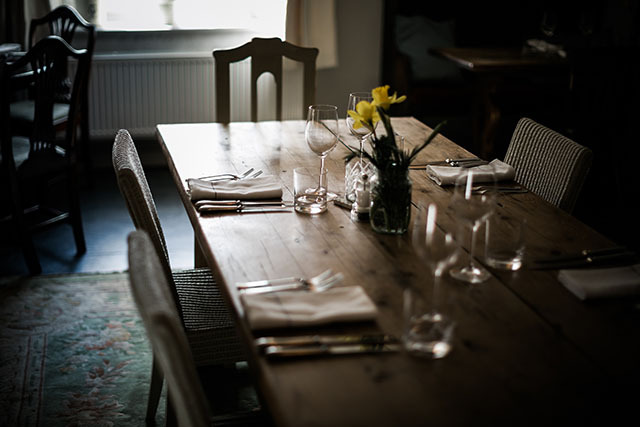 The monthly supper club will be held at 7pm on Friday 25 March, £40 per person. This five mile tasting menu is such a lovely idea. Not only is everything sourced from within a five mile radius of The Globe in Fowey, the menu shows the actual distance from the restaurant. The menu includes St Austell Bay mussels steamed with Haye Farm cider and sage, Mr Kittow’s pork with Colwith Farm potatoes, and Cornish fenugreek Gouda and wild garlic puffs with sweet onion jelly. The five course tasting menu will be running alongside the usual evening menu during March, and is priced at £35 per person. For reservations please phone 01726 337076 or visit www.theglobefowey.co.uk. The restaurant is also holding a charity cheese and wine tasting on Thursday 10 March. Representatives from Ellis Wharton Wines will be on hand to guide guests on wines from Camel Valley, Polgoon, Bosue, Knightor and Trevibban Mill. £20 per ticket, in aid of Cornwall Hospice Care. Inkie’s Smokehouse BBQ has taken on the lease of the car park and public toilets at Golitha Falls. The smokehouse kitchen will be taking up permanent residence there from 6 March, and the car park and toilets will remain free of charge. As well as the famous pit-smoked barbecued food, they will be serving hot and cold drinks, homemade cakes, American style breakfasts and lunches, and thick shakes. 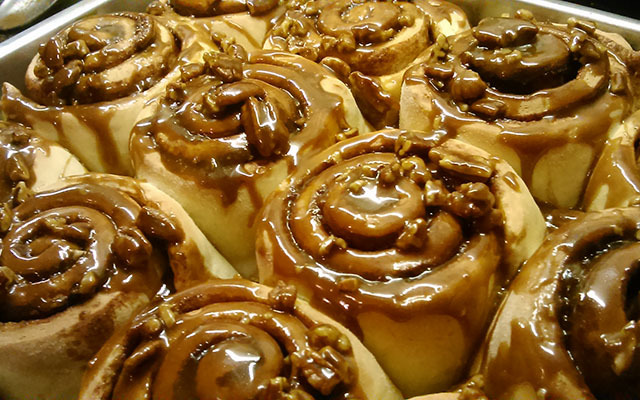 Pictured above are Karen’s cinnamon rolls with maple pecan frosting. Opening times will be 9am to 4pm Sunday to Thursday, and 9am to 6pm on Fridays and Saturdays. Karen and Debs are also planning on holding barbecue nights as the weather warms up, so keep an eye on their Facebook and Twitter pages for more information. The Rebel Brewing Company is hosting a craft beer tasting evening at The Old Coastguard on Friday 18 March. £38 per person, tickets available from The Old Coastguard. Everyone I know who’s attended one of The Hidden Kitchen‘s supper clubs has raved about the food. For up to date information on supper club dates, menus and prices see their Facebook page. The St Ives venue can be used for private parties, with private chef and outside catering services also available. The cost of the event is £15 per person including two cocktails: start with a French 75, then Mark will mix up some tasters and tell guests about each cocktail. You can then choose your second cocktail and a cocktail menu will be running for the remainder of the evening. 7pm to 9pm (ish), Friday 11 March. To book a place email [email protected]. From 26 March The Old Quay House in Fowey will re-open for lunch and afternoon teas. The Easter weekend is already in popular demand so call 01726 833302 to book a table and if the weather is good you can relax on the waterside terrace. 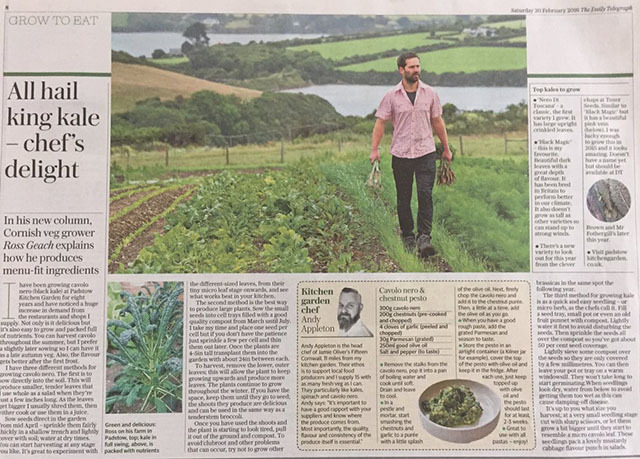 Congratulations to our favourite veg grower, Ross Geach of Padstow Kitchen Garden, who now has a regular column in the Saturday Telegraph’s gardening section. Castang Wines‘ Cornwall Wine Fair takes place from 10.30am to 9pm on 8 March at St Mellion. Click here for full details and a ticket to admit four people, free of charge. 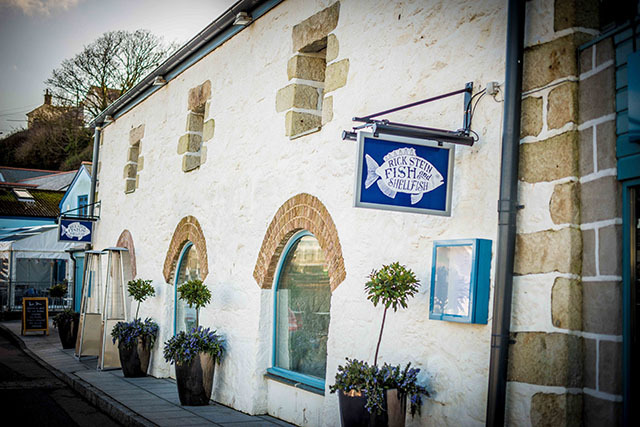 Congratulations to Paul Harwood’s restaurant The Fish House Fistral, which has won a national award: Start Up Business of the Year 2015. The Trelawny Shout will be taking place on 5 March, St Piran’s Day, in pubs across Cornwall. To find out where you can join in with a rendition of Trelawny, please visit their Facebook page. Good luck to Jude Kereama of Kota in Porthleven, who will be competing in this year’s Great British Menu. We’re looking forward to Da Bara Bakery opening their new premises at Ruan High Lanes on the Roseland. They are promising their usual delicious bread and pastries, plus more… Watch this space. Surf-Side in Polzeath will re-open for the season on Thursday 24 March. One of our favourite spots for eating lobster and chips and watching the sun set. Pescadou in Padstow will reopen as The Cally Oyster Bar and Grill on Friday 18 March. The new look restaurant will offer fresh local oysters and seafood, cocktails and prosecco by the glass. The new menu will also feature Pescadou favourites as specials. Congratulations to Dale McIntosh who has recently take on the role of head chef at Gylly Beach Café. If you’ve got all the coffee kit but don’t know how to use it, Hugo Hercod of Relish Food and Drink will visit your home and teach you the basics: beans and grinders, machines and extractions, milk and art. £120 for half a day – Cornwall only. Cornish Sushi is now offering sushi for packed lunches and picnics. Collection from Padstow or Wadebridge. Get in touch via Twitter or Facebook or phone 07912 103104. The Rosevine at Portscatho has a special menu for Mothering Sunday, with a gift for each mother. Easter Sunday also sees a special lunch menu, with an Easter egg hunt for children. To book phone 01872 580206. Good luck to chef James Nathan, who takes over the restaurant at the St Enodoc Hotel this month. Bargain of the month must be the £10 for two courses lunch offer at The Thomas Daniell in Truro. Available between 12 and 5pm, Monday to Saturday. Rick Stein is expanding his empire, with his new Marlborough restaurant due to open later this year. The Social Dining Network’s next event is a rum tasting and new menu launch at The Brig in Falmouth on 23 March. £18 per person, book online. Food producers from the South West are invited to enter delicious. magazine’s inaugural delicious. Produce Awards 2016. Deadline for entries is 1 March 2016. 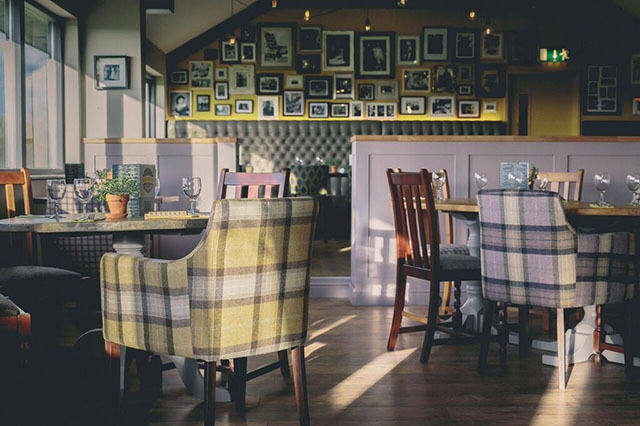 The Olive Tree in St Merryn will be reopening after their winter break on Thursday 17 March, for the start of their sixth year. The menu continues to be largely inspired by Mediterranean flavours, with fabulous Cornish produce including fresh fish and seafood. For reservations phone 01841 521560 or email [email protected]. The Thirstea Co. will be open from Easter Saturday, and then throughout the season (closed Fridays) at their spot at Towan Beach on the Roseland (Porth Farm, St Anthony, Portscatho, TR2 5EX) serving cakes, bakes, sandwiches, pasties, hot drinks and ice cream. Kernow in the City takes place in Shoreditch on Saturday 5 March. Now in it’s seventh year, the event will be a celebration of Cornish music, culture, food and language, and will also be the launch for London’s first gig rowing club, the London Cornish Pilot Gig Club. Just opened in Truro is The Art of Wine, a wine shop, bar and art gallery all in one. Each month 16 wines will be selected for their “cutting edge wine-tasting system”, so you can try before you buy. Truro also welcomes the newly refurbished restaurant Swell Bar and Kitchen, in the place of Salt on Kenwyn Street. I particularly like the look of the express lunch/pre-theatre menu. Rosewarne Manor‘s next tasting evening will be held on Friday 25 March, with 7 courses for £45. The food here is delicious, and the restaurant has just received a Taste of the West Gold award for the fourth year running. Embers Pizza has just opened its doors in Padstow. The menu currently features nine tasty sounding wood-fired pizzas, and I’ve heard there’ll be ice cream and waffles too. Please feel free to comment below or send us an email. Please send your news for inclusion in the April Foodie Diary to [email protected] to reach us by 20 March.